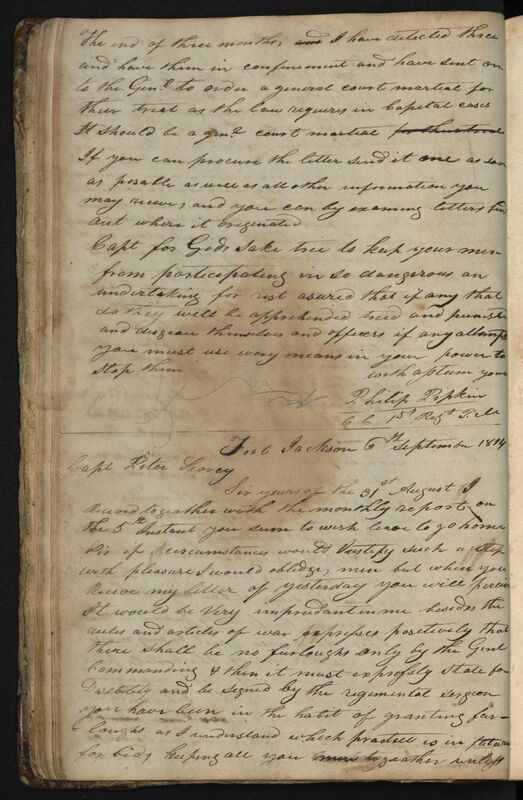 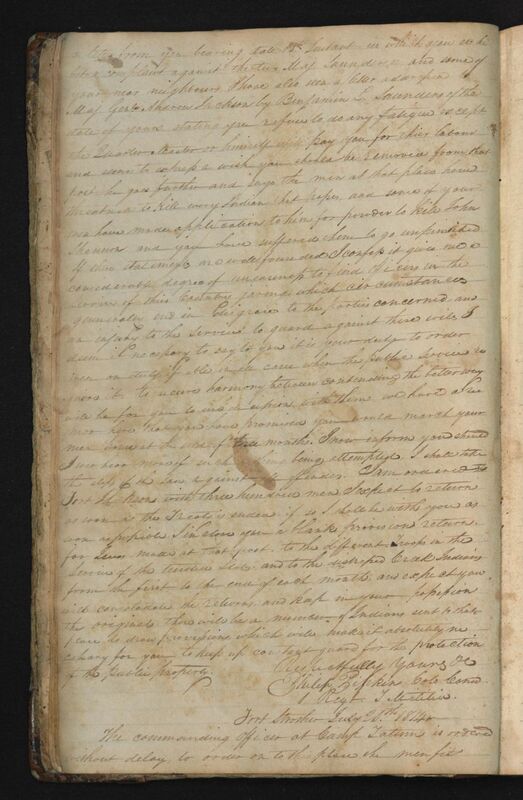 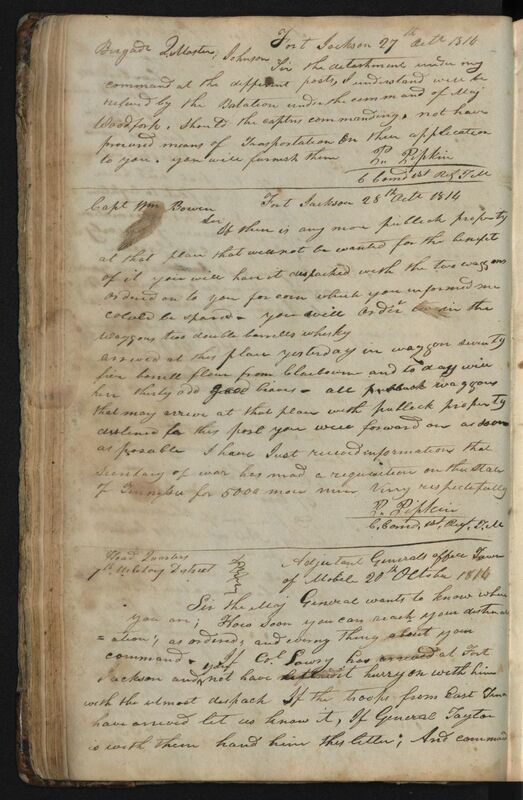 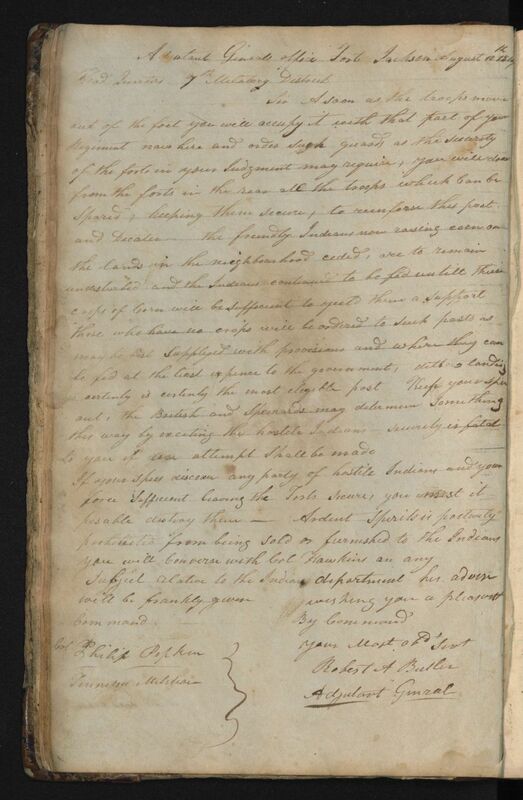 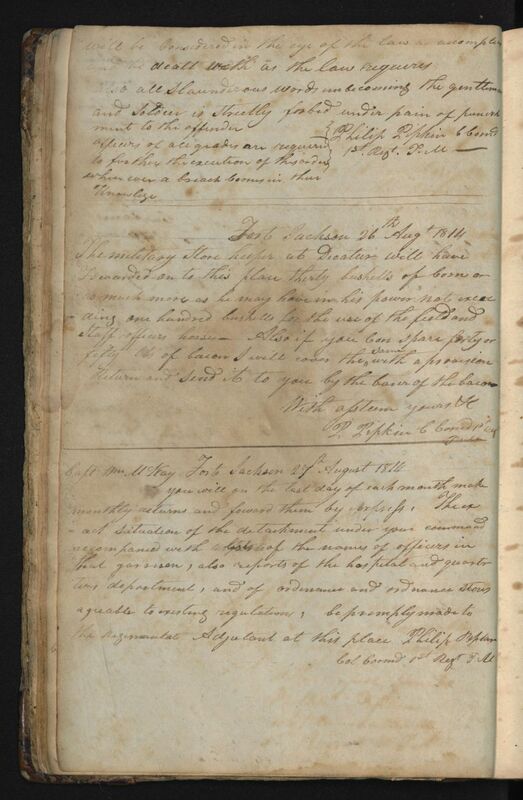 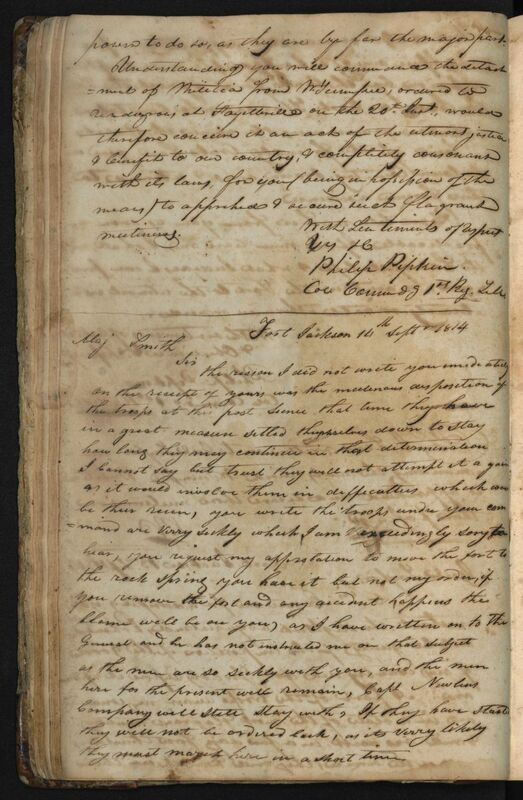 Description: This addition includes a ledger containing handwritten copies of official military correspondence kept by Colonel Philip Pipkin of the 1st Regiment West Tennessee Militia in 1814 during the War of 1812. 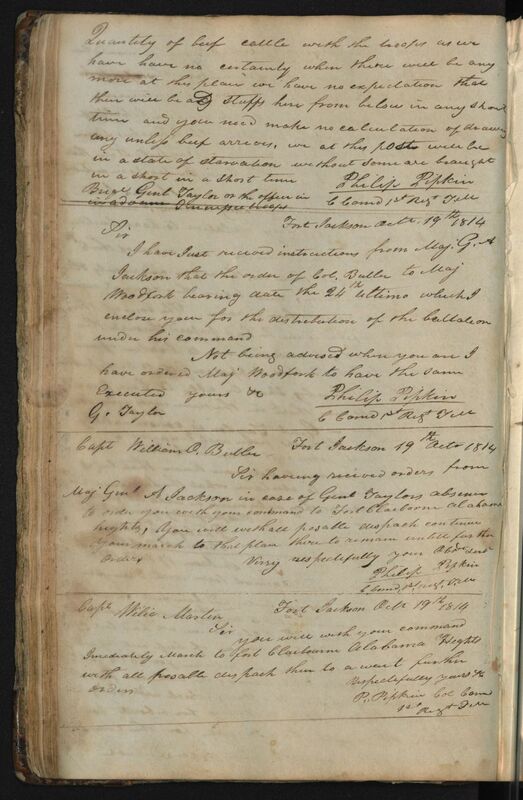 During this time the regiment was at camps in Alabama and Mississippi Territory. 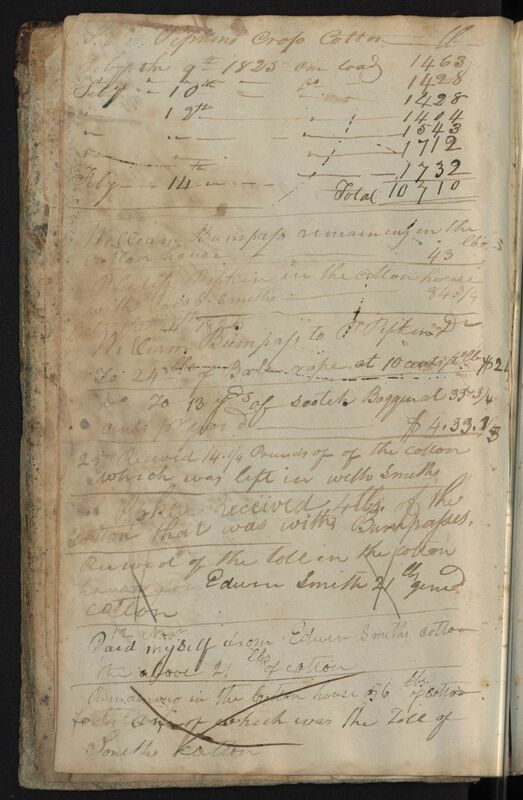 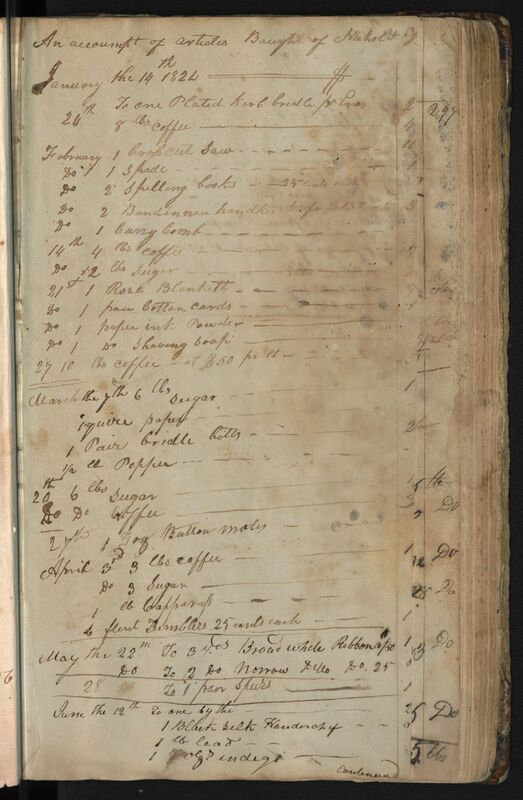 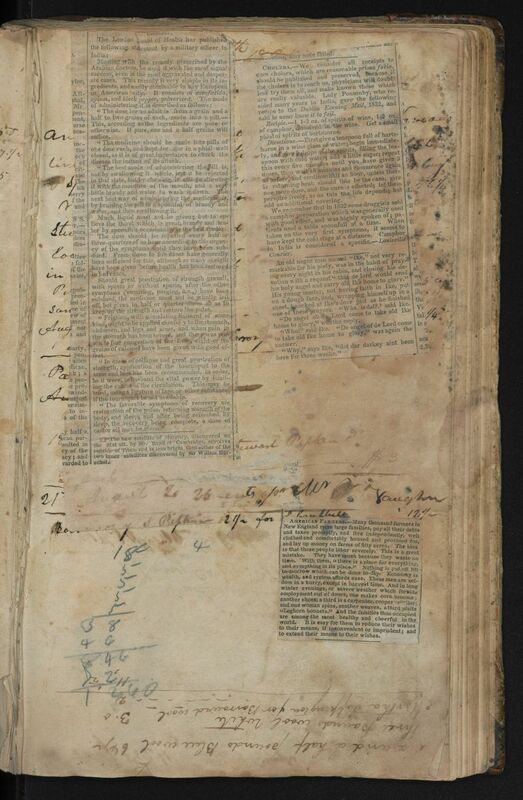 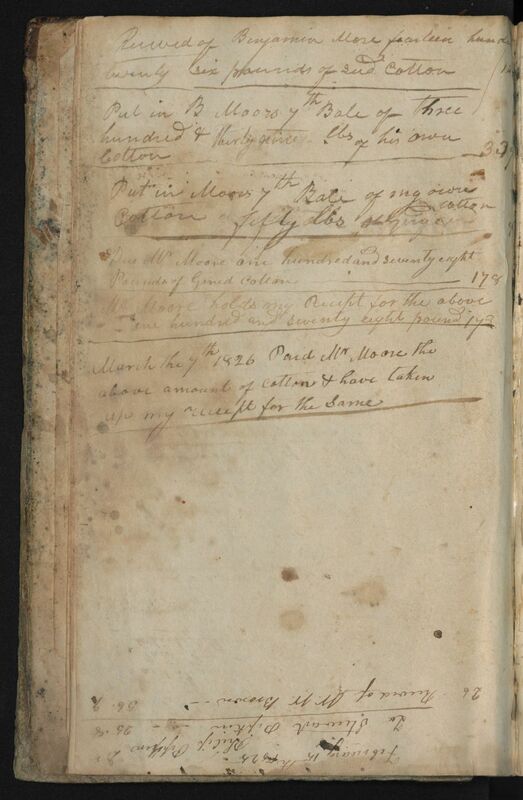 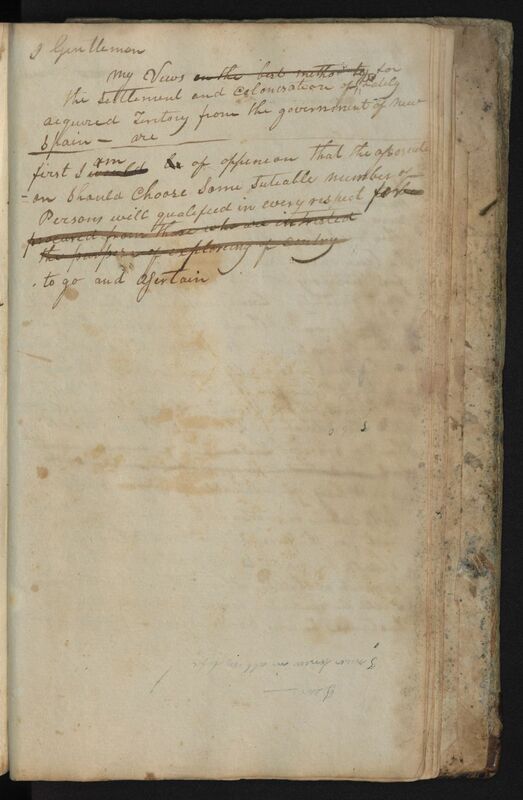 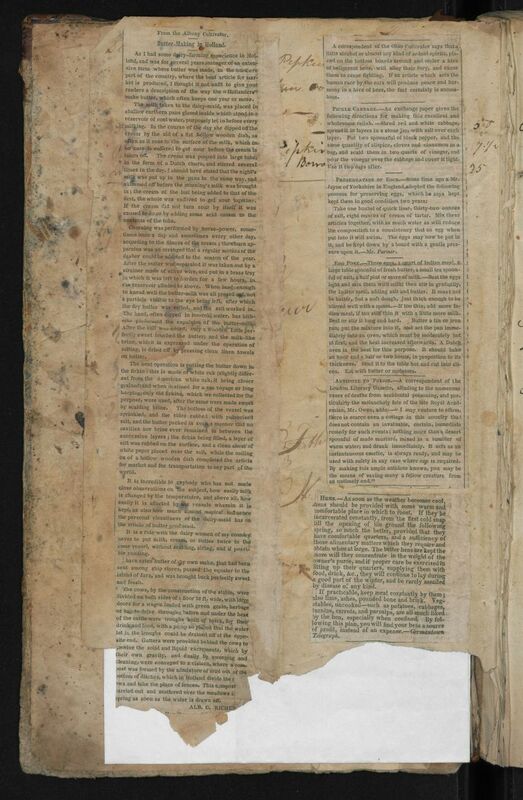 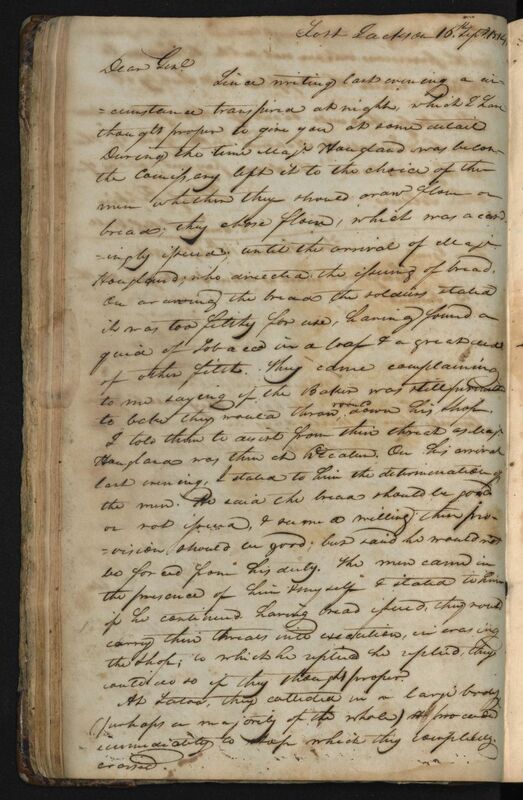 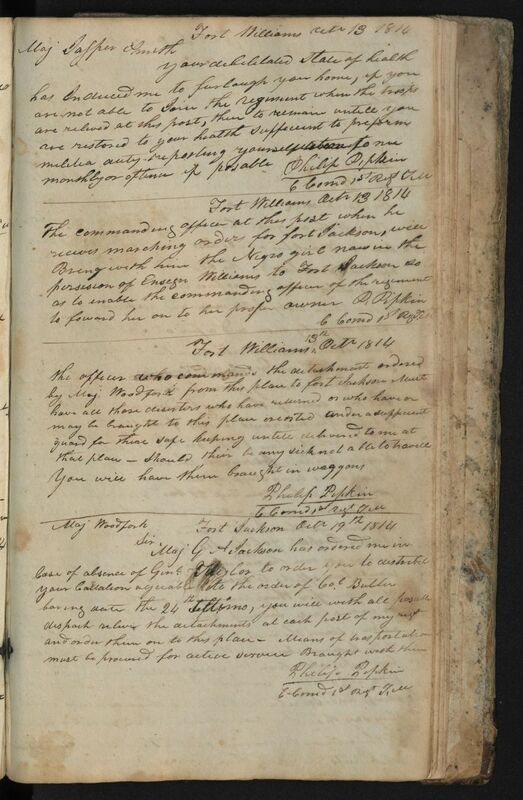 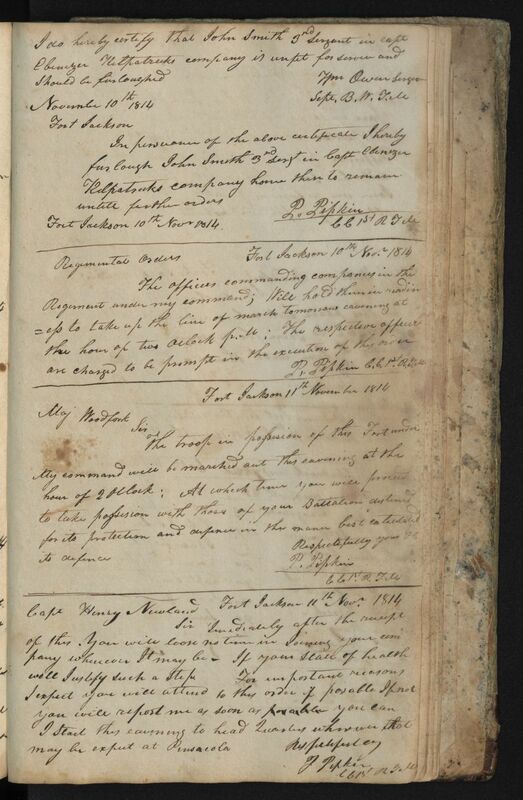 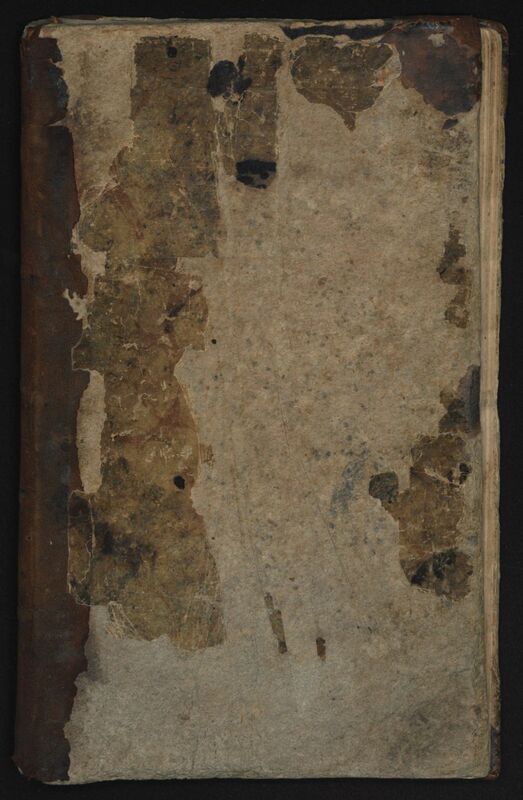 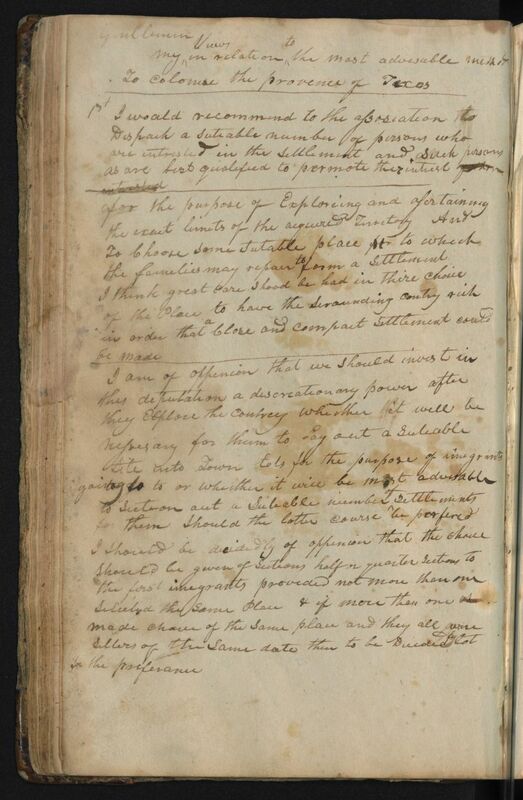 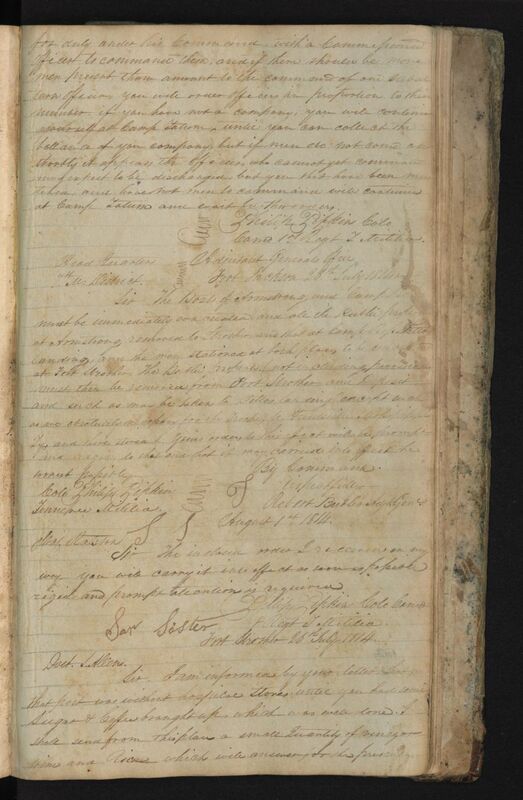 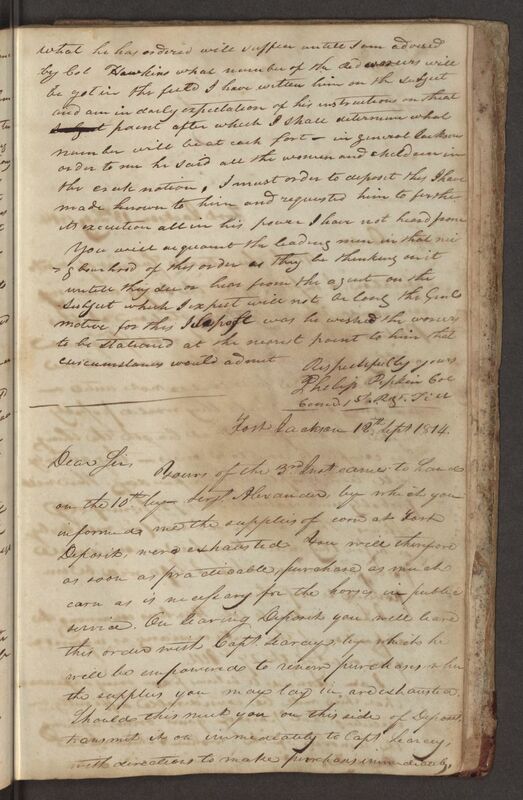 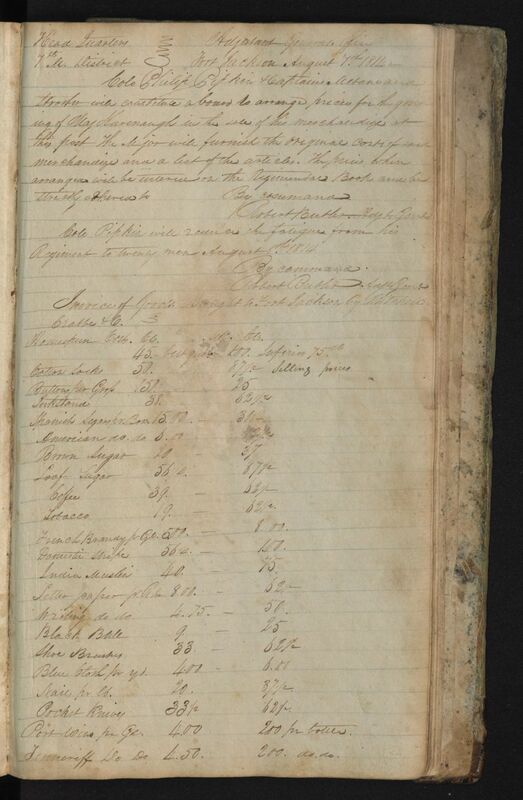 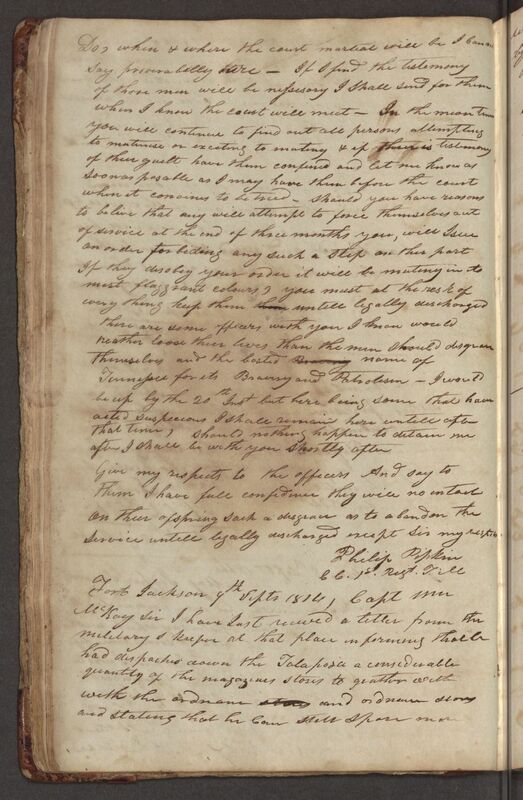 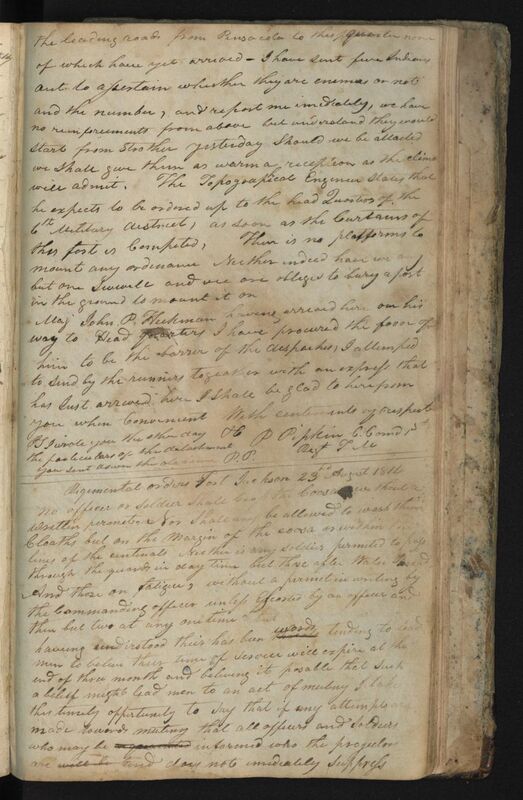 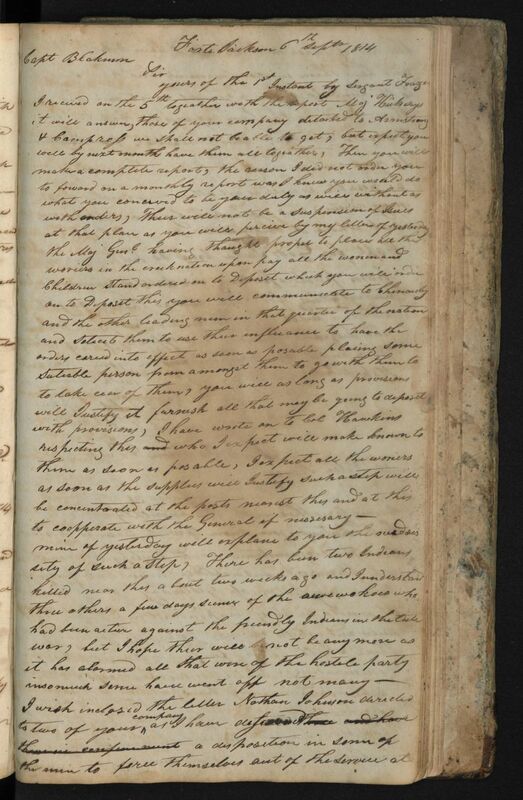 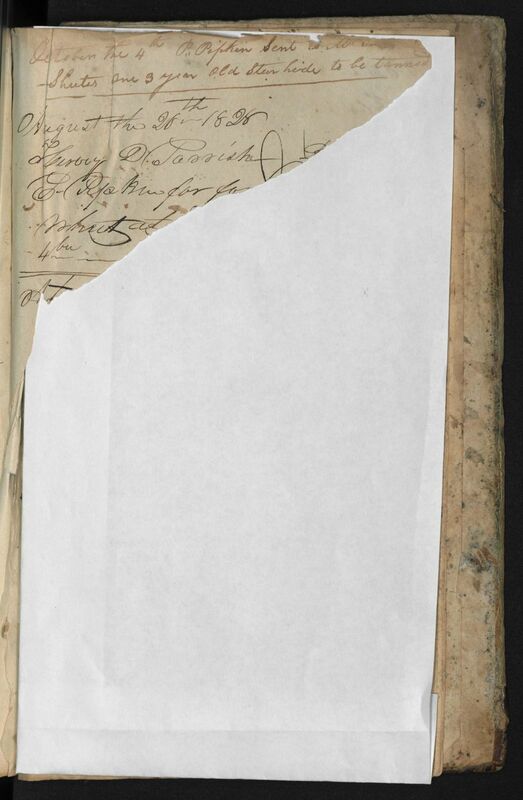 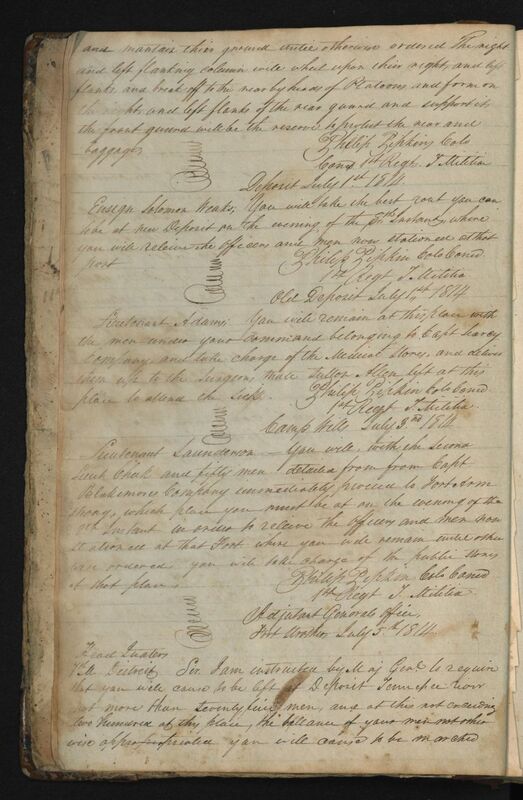 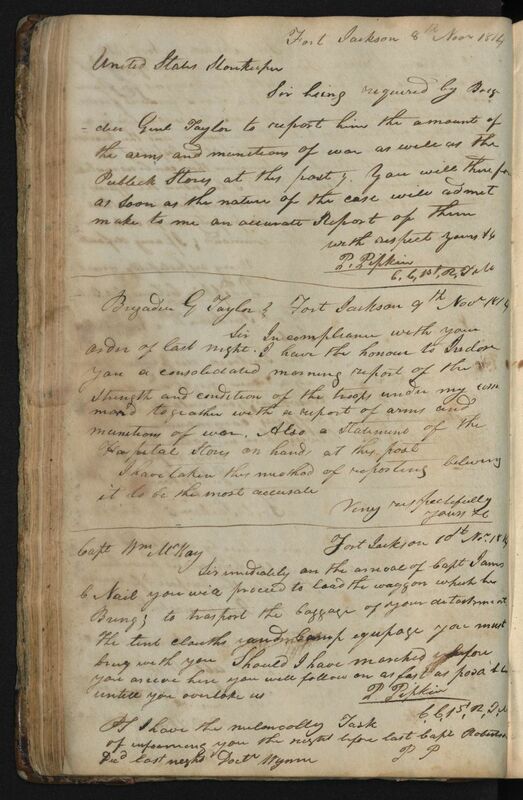 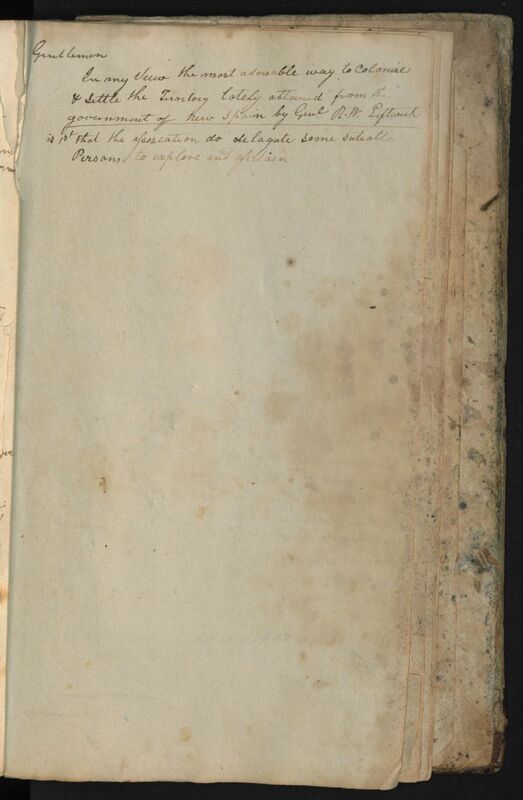 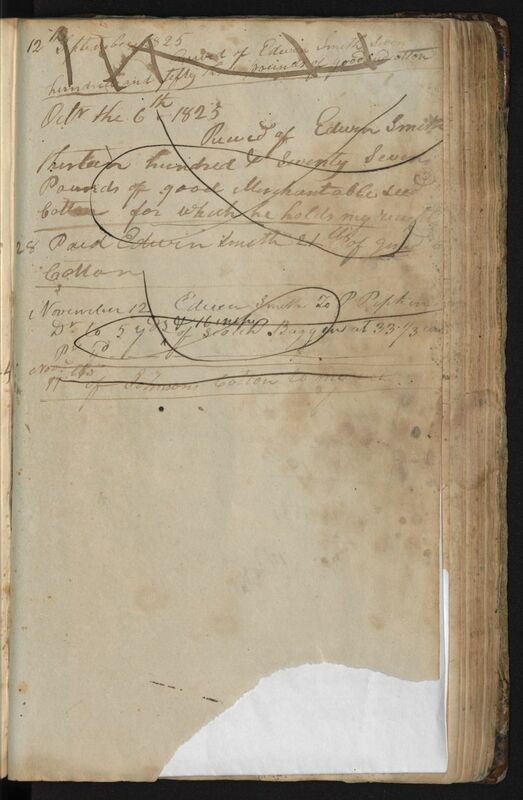 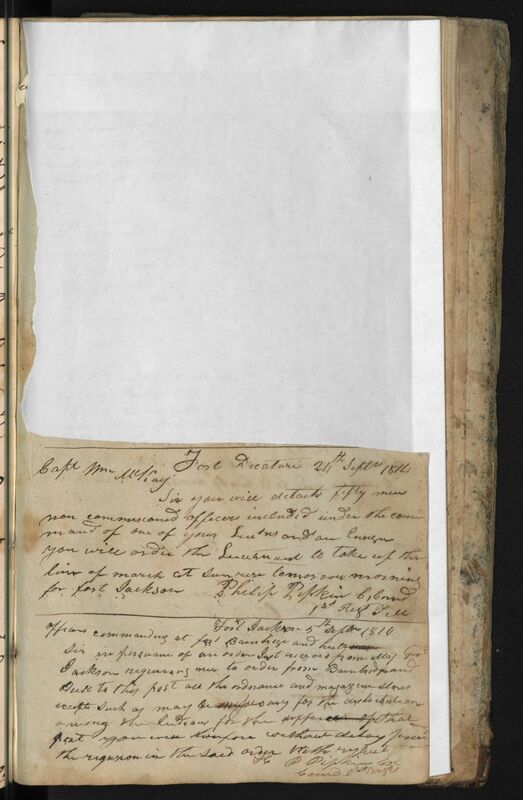 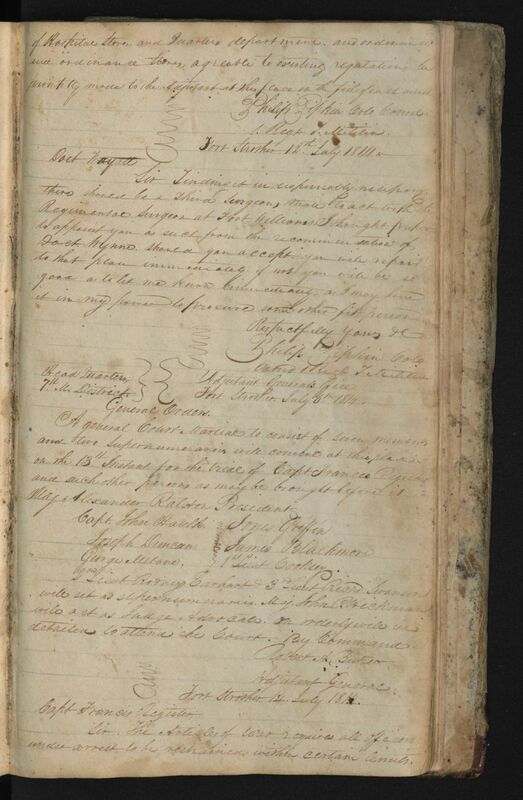 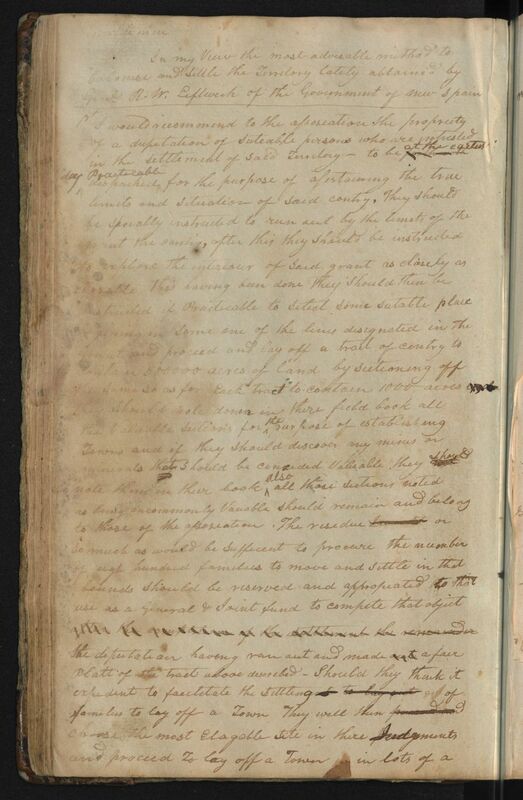 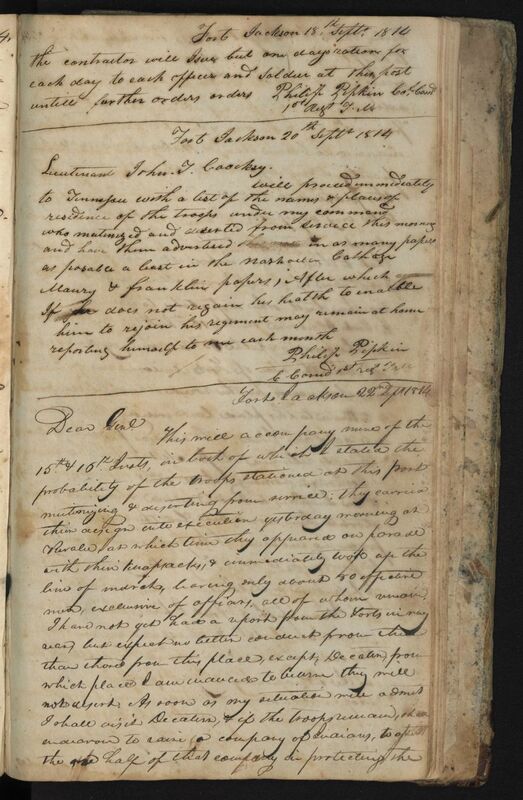 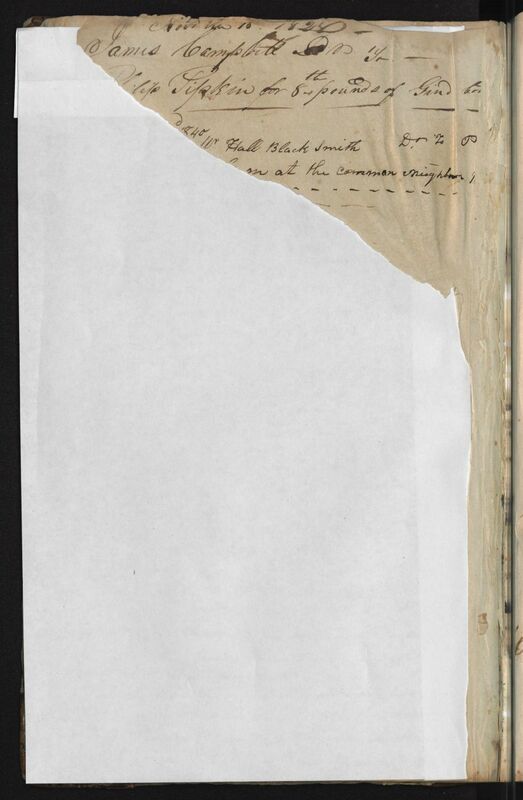 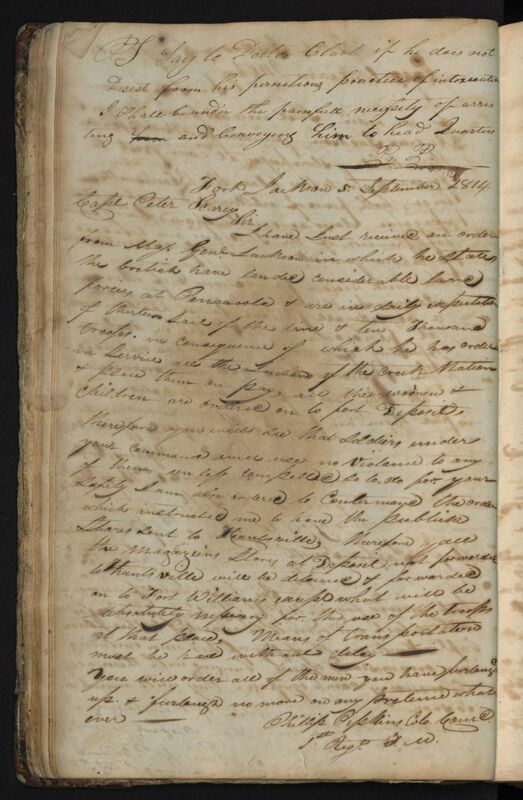 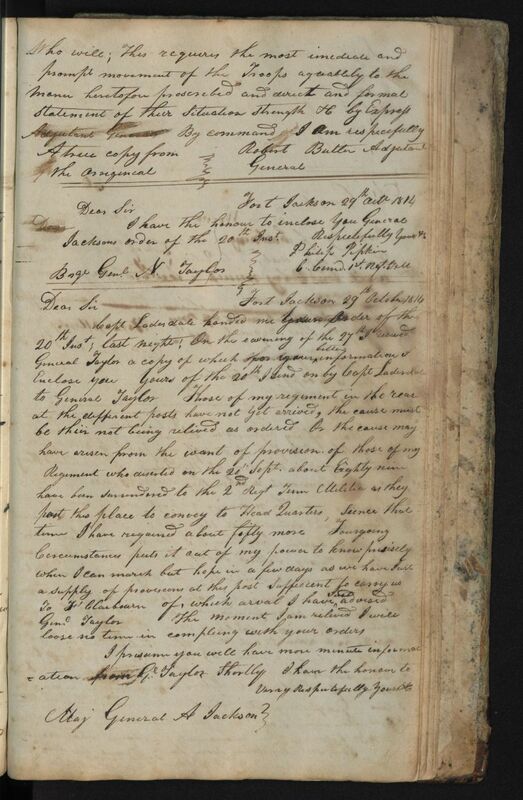 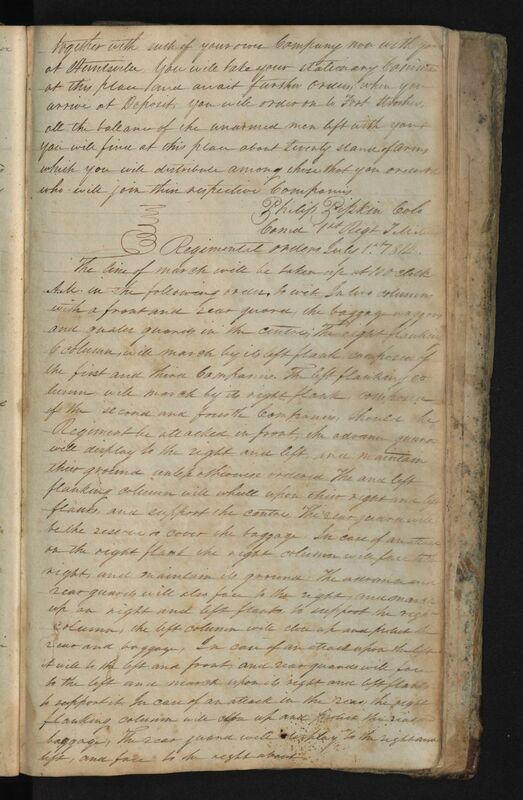 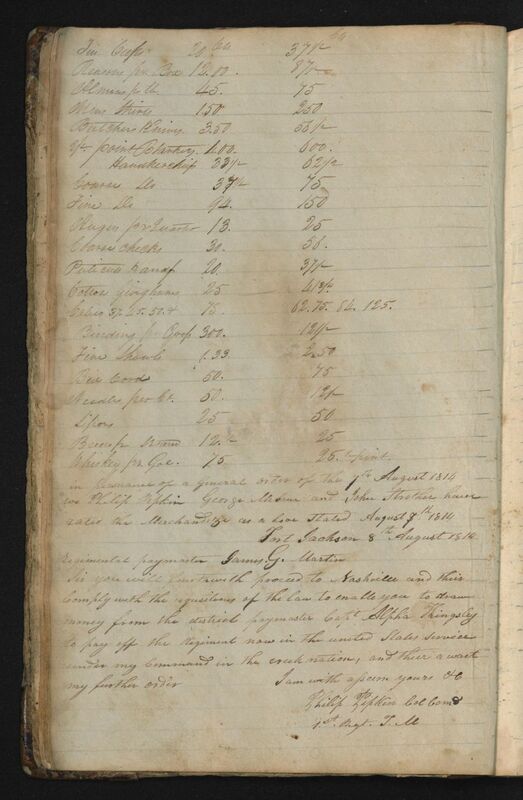 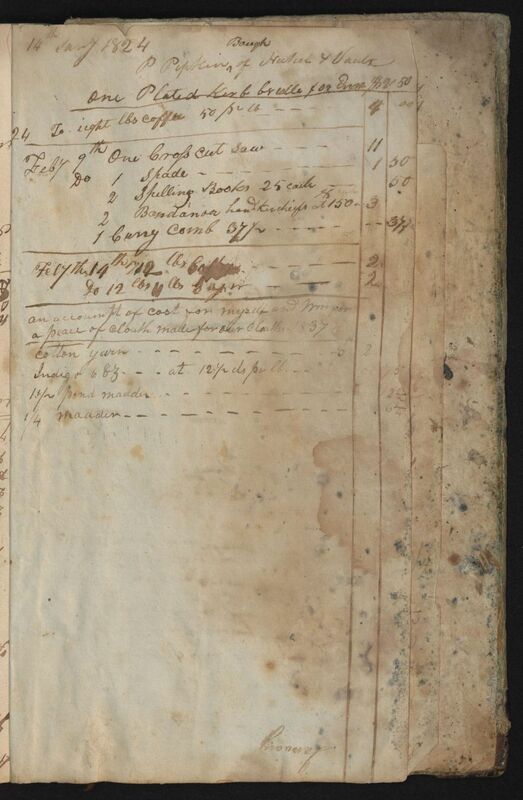 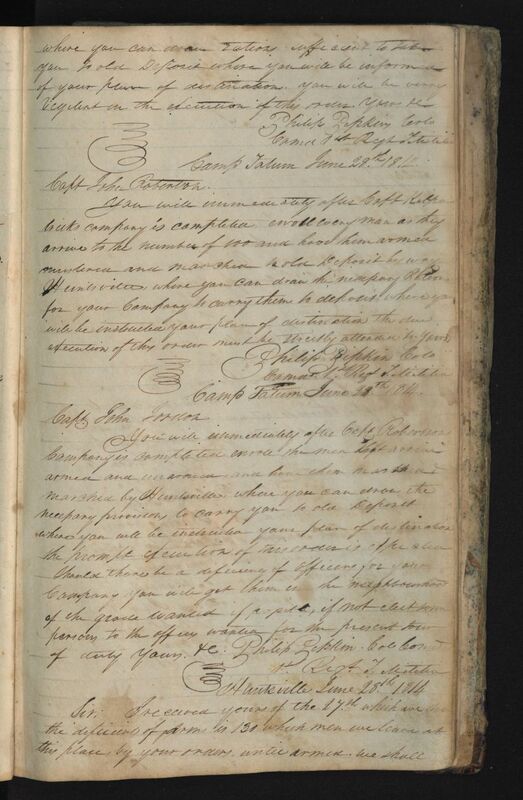 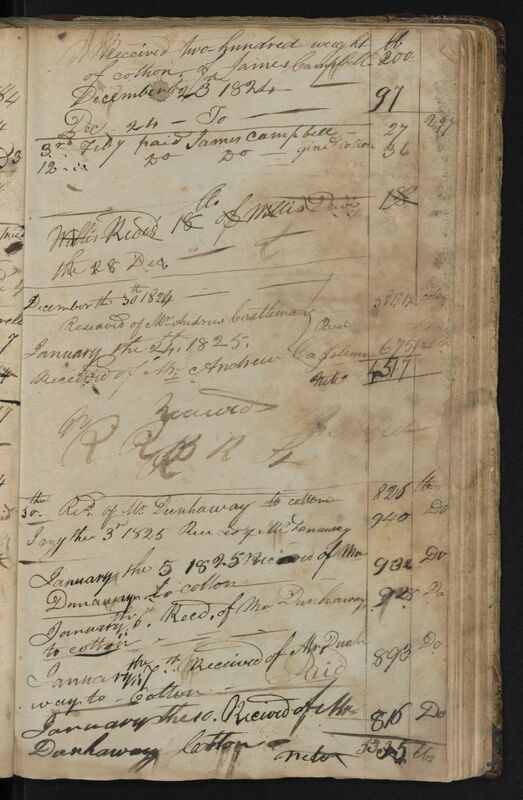 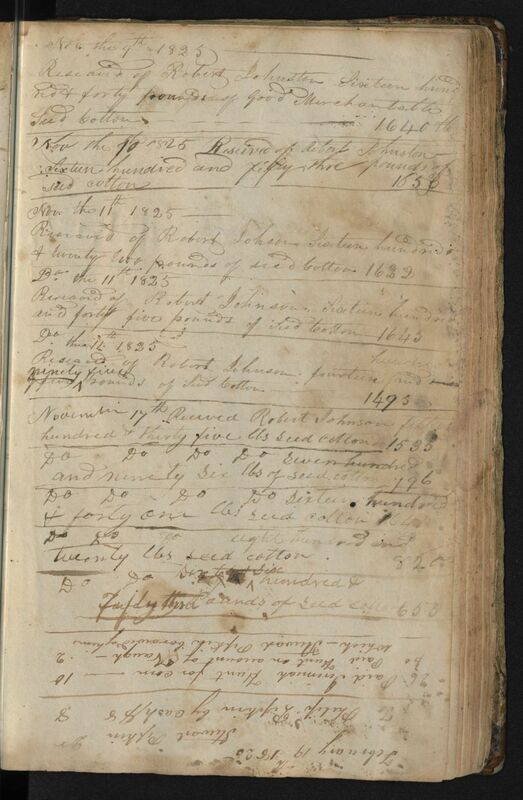 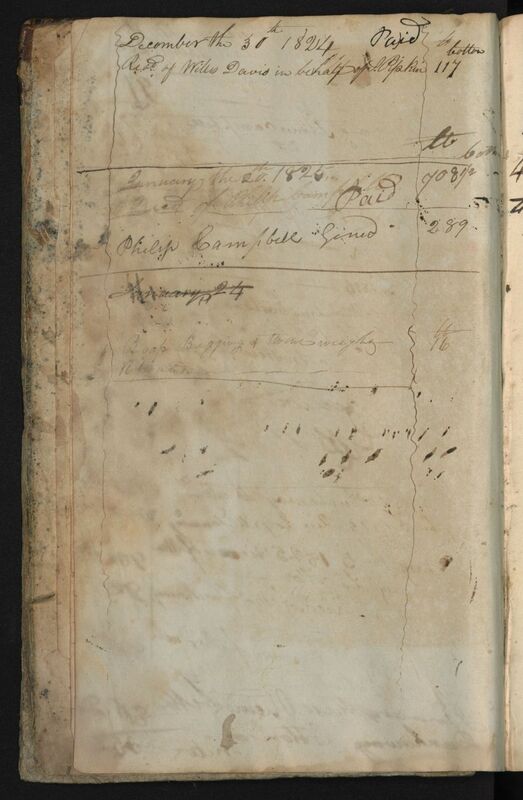 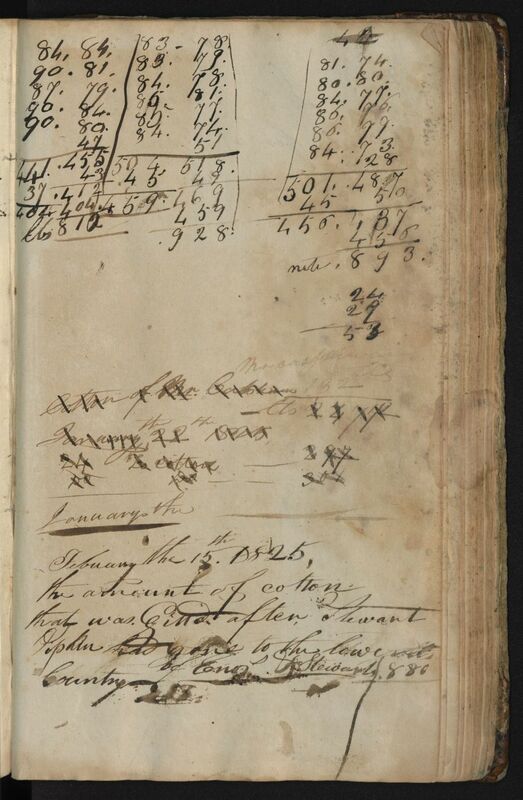 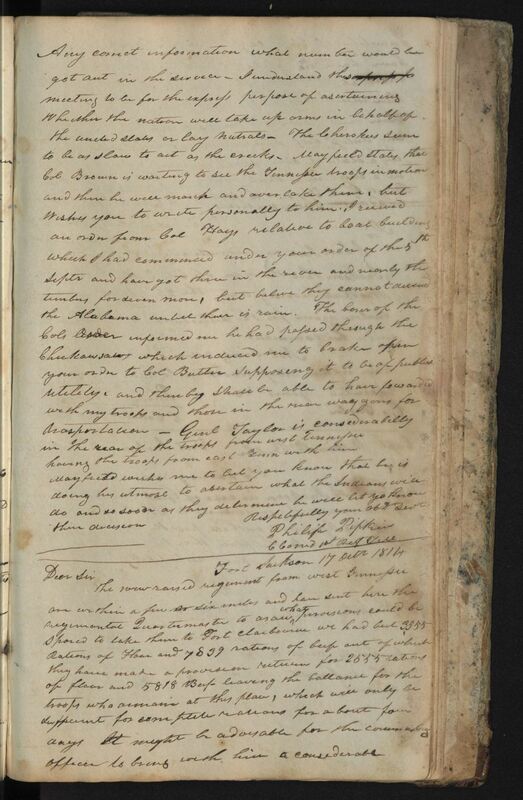 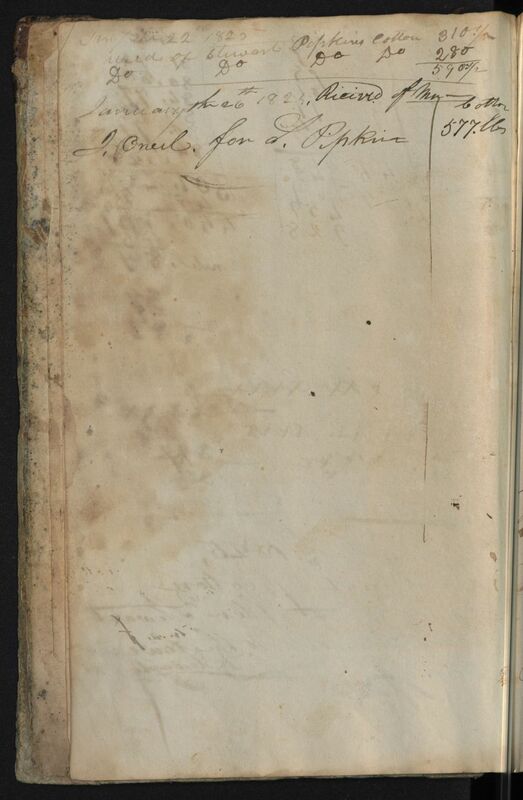 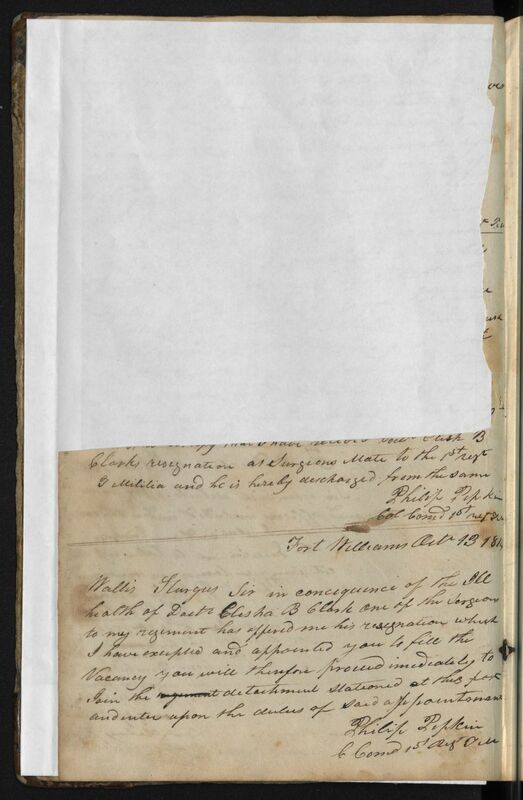 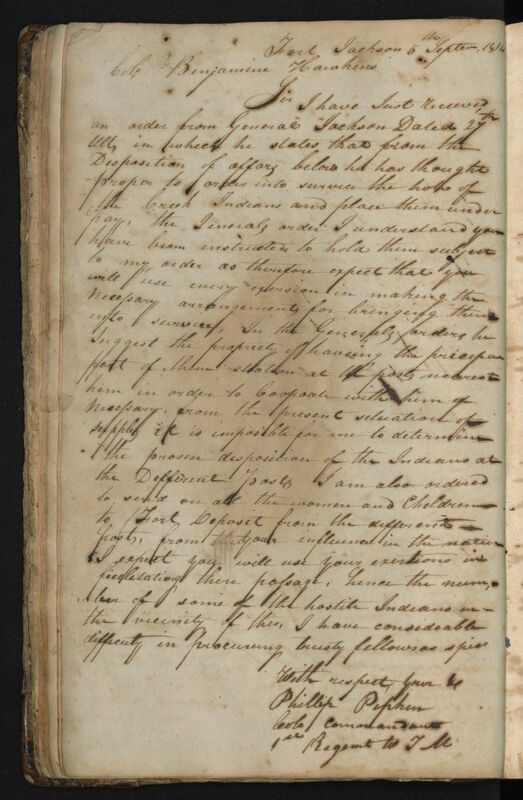 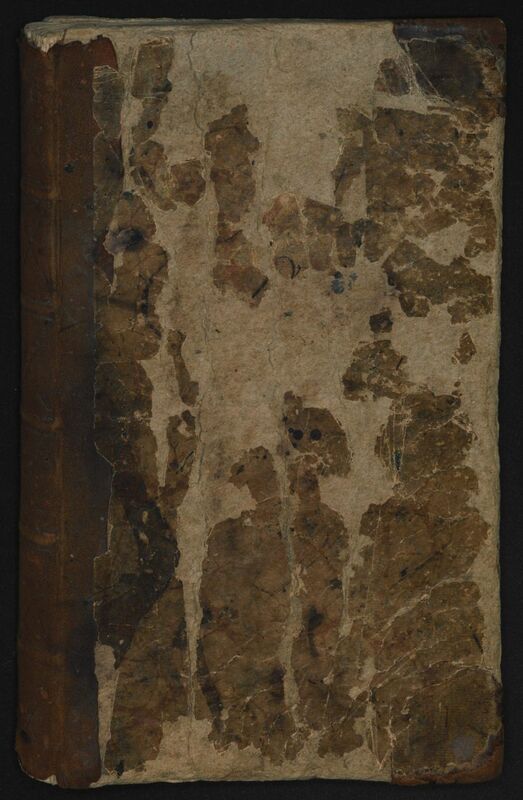 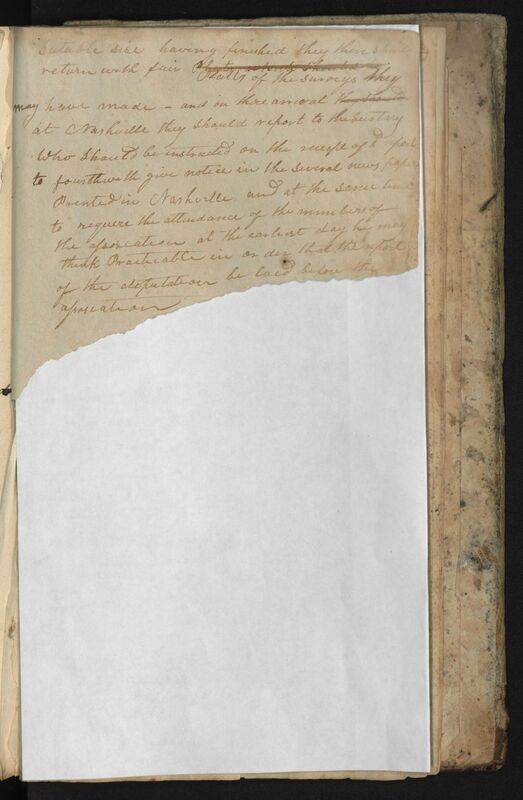 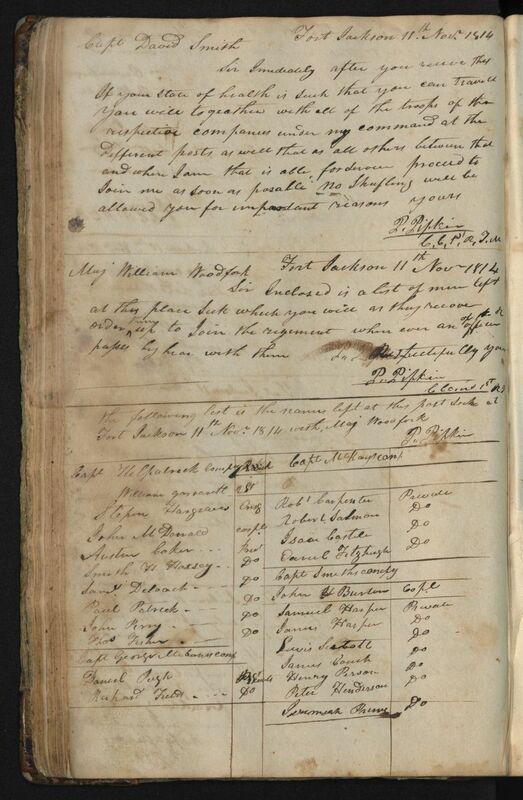 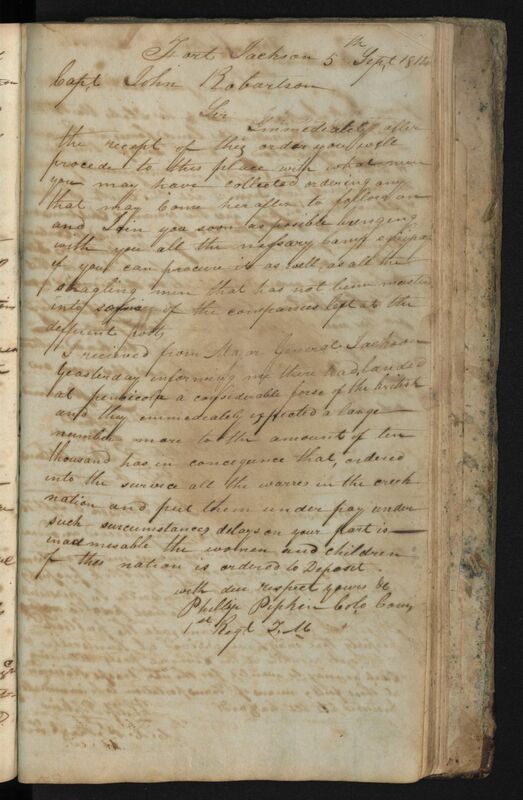 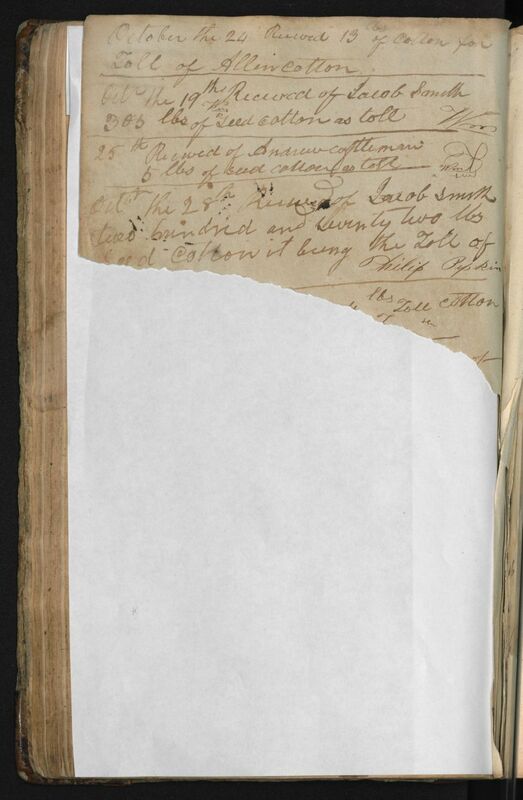 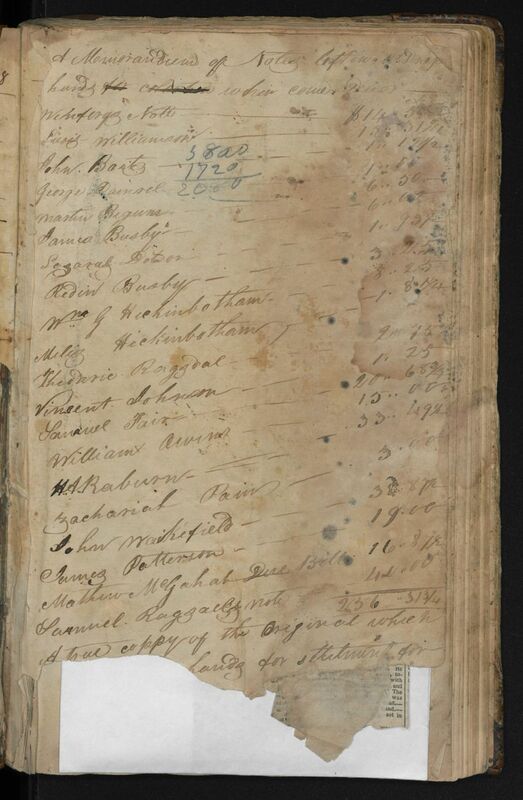 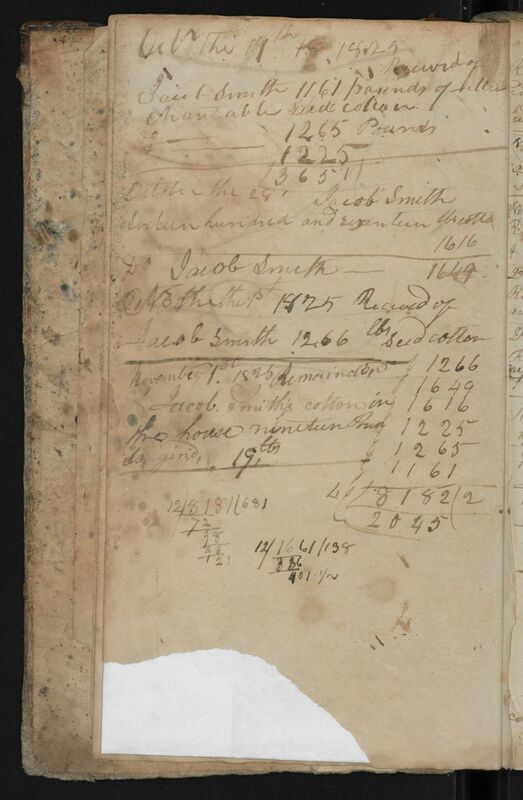 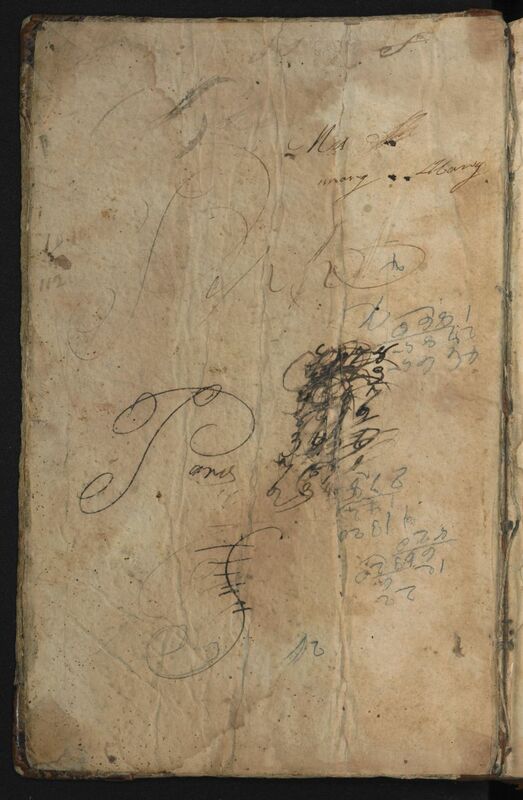 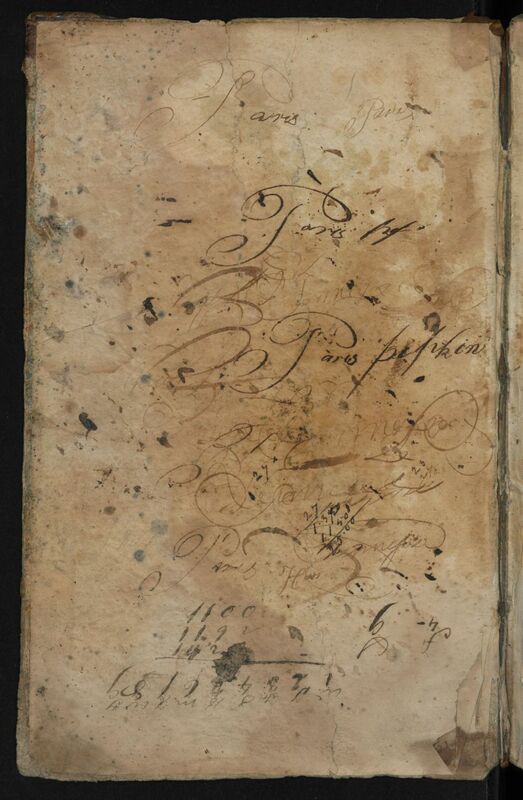 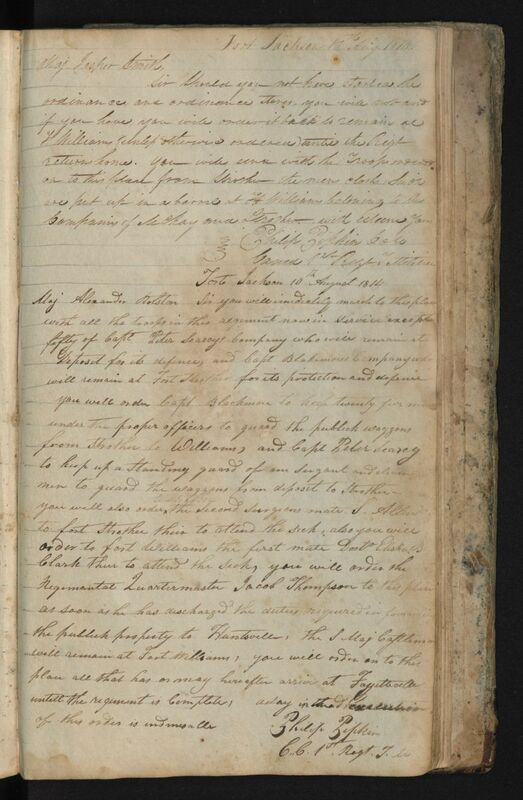 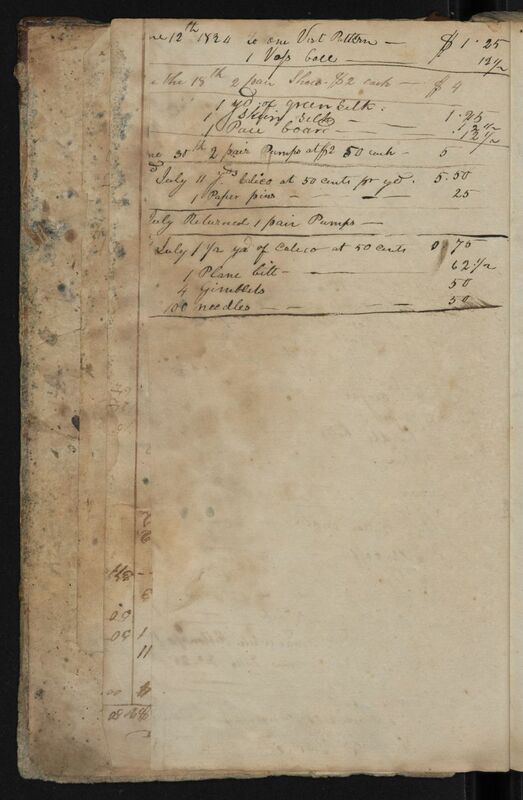 Some financial accounts for the 1820s are also in the ledger. 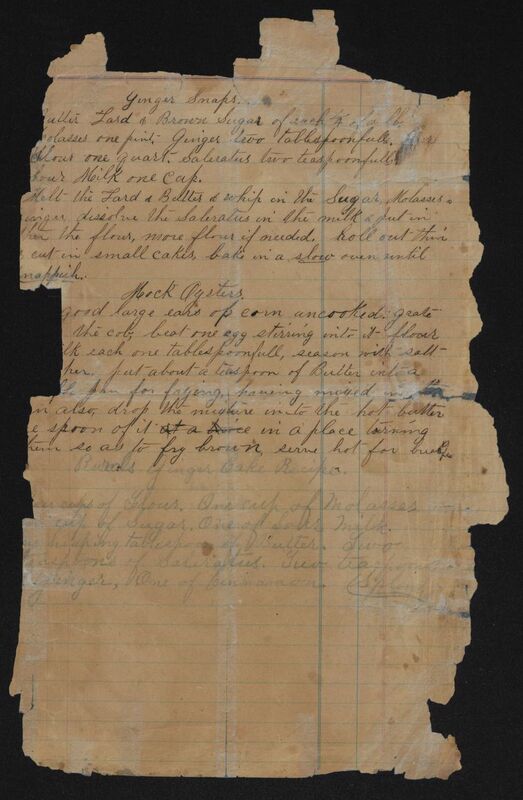 Other items in this addition are a 1918 Pictorial Supplement Oversees Edition for The Camp Dodger published by the 88th Division of Camp Dodge, Iowa, and color photographs of the ledger and of a man holding a rifle and a cartridge knapsack. 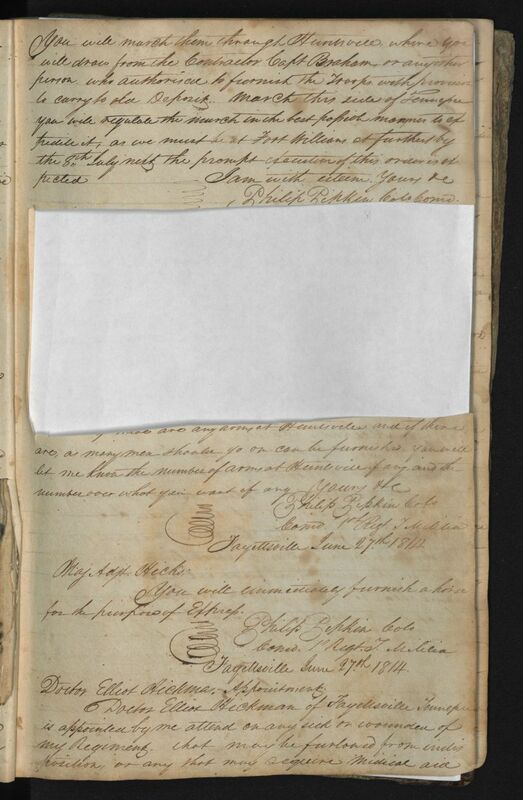 General Accession Note: Material was transfered from The Southern Genealogist's Exchange Society, Jacksonville, Florida, via the society's president, Michael E. Lawson. 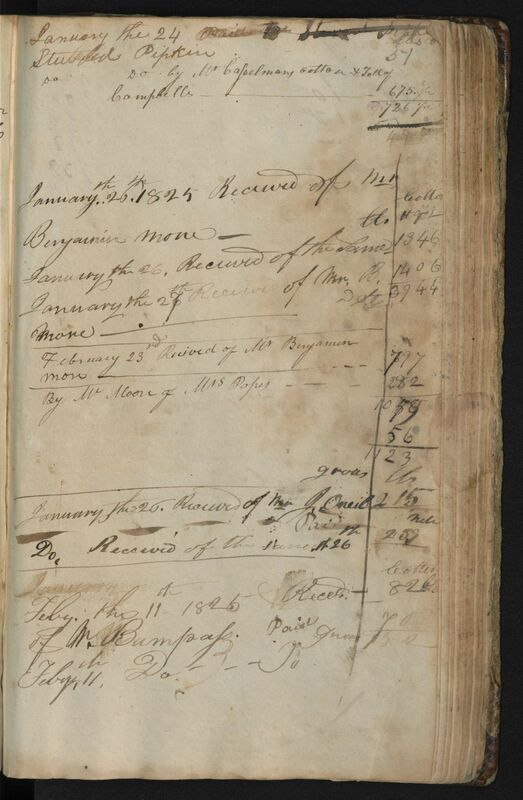 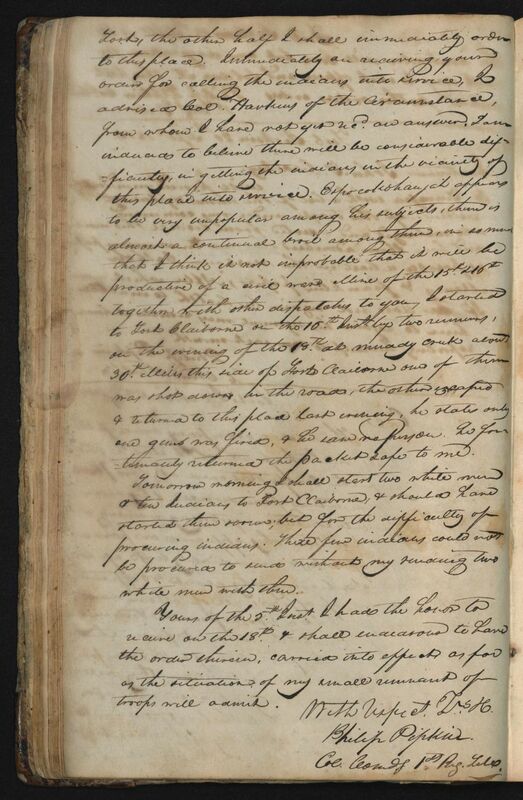 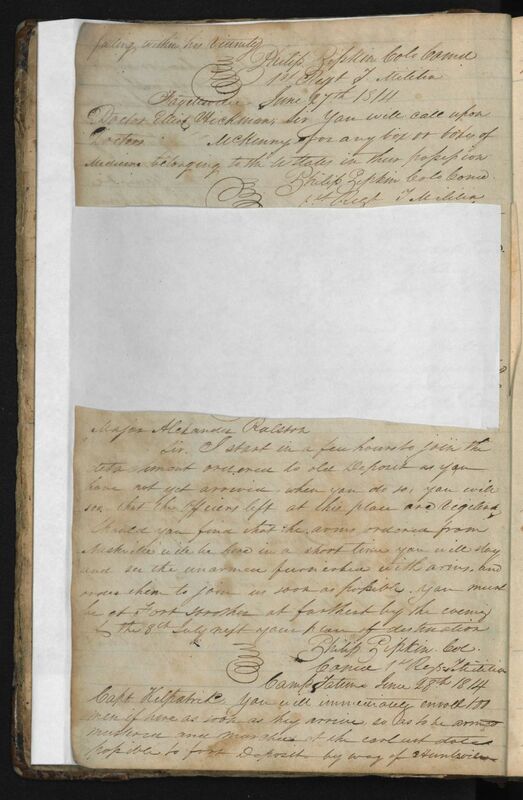 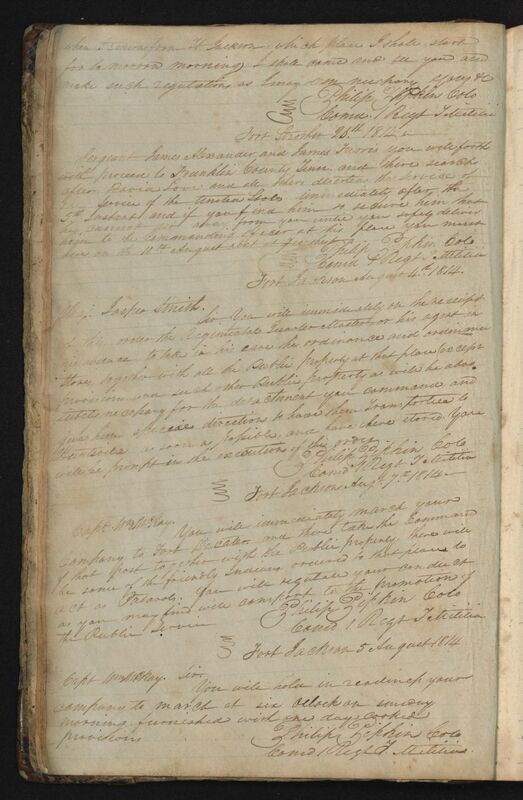 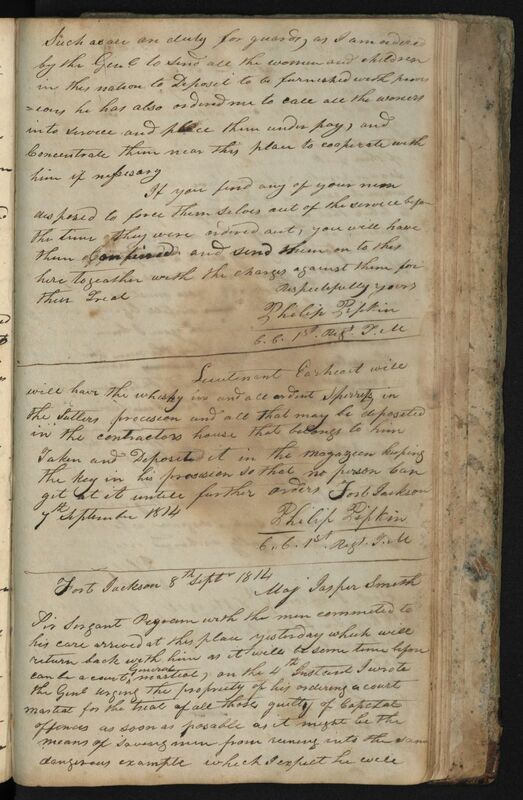 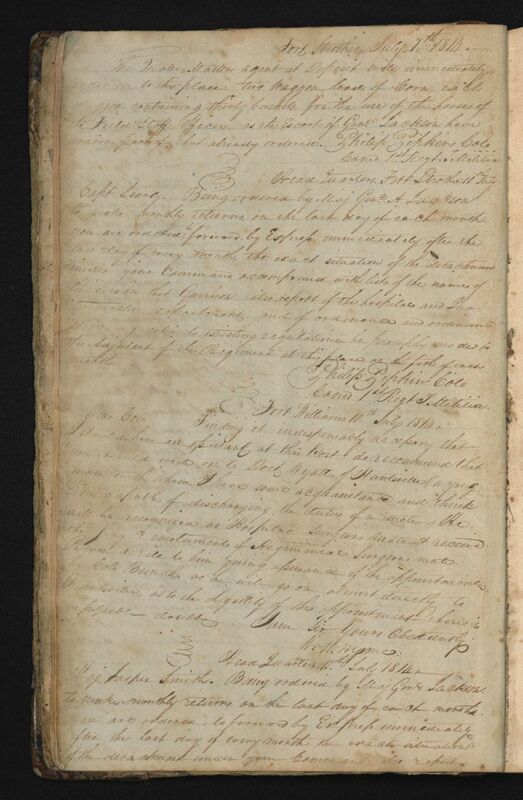 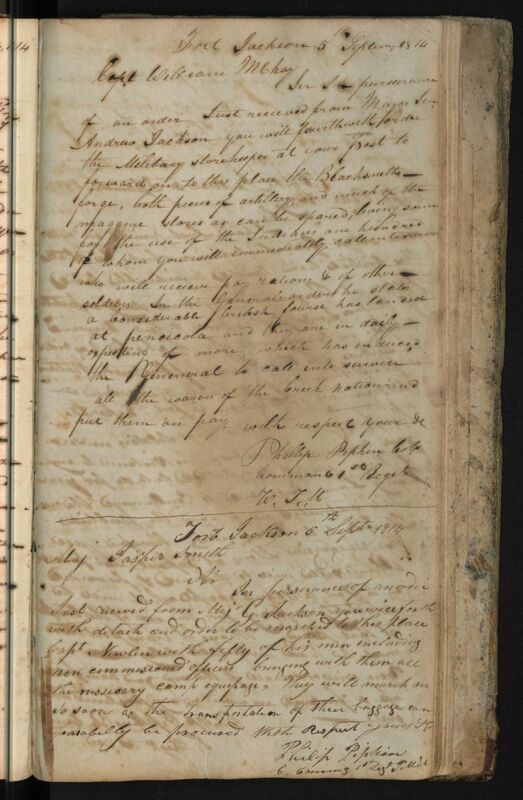 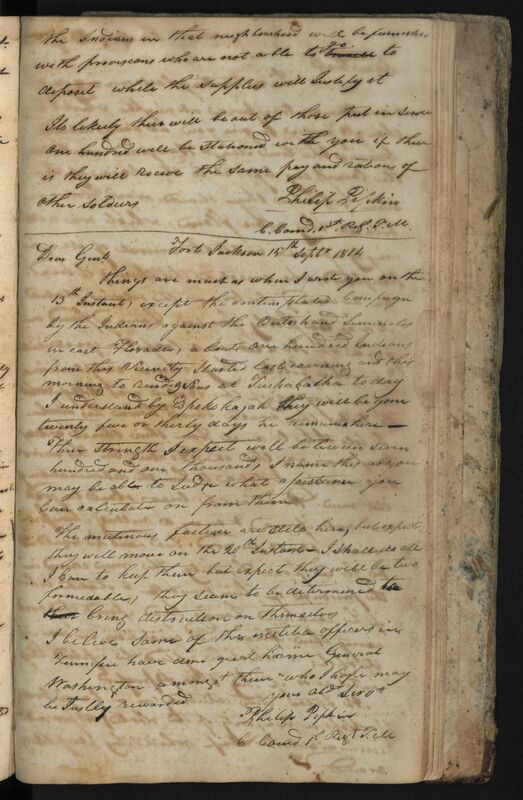 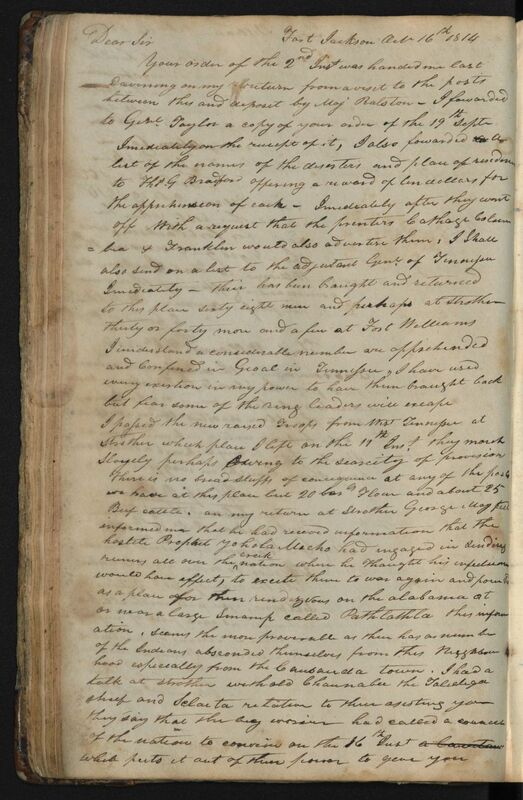 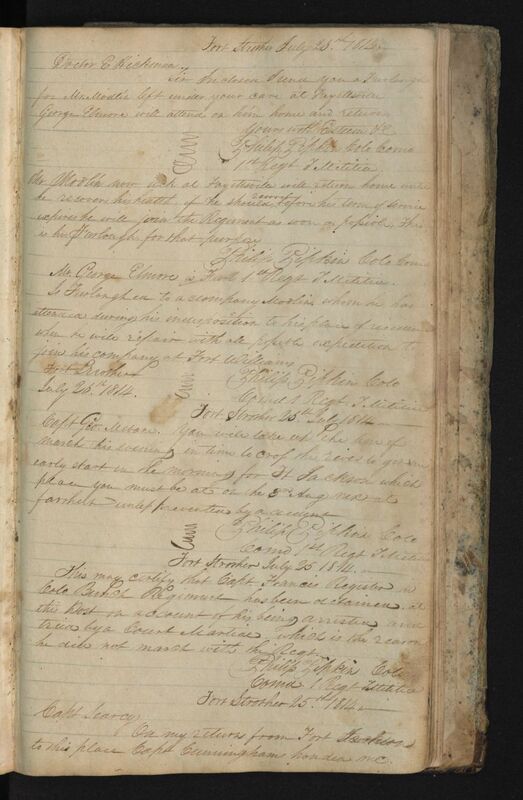 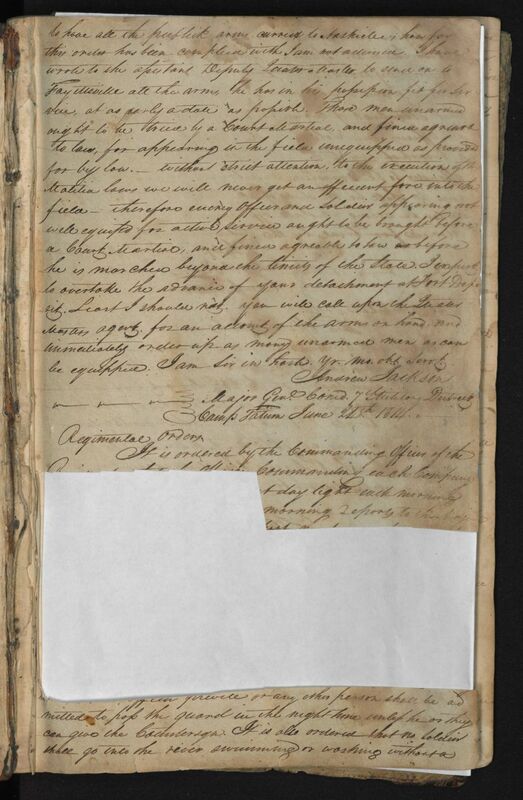 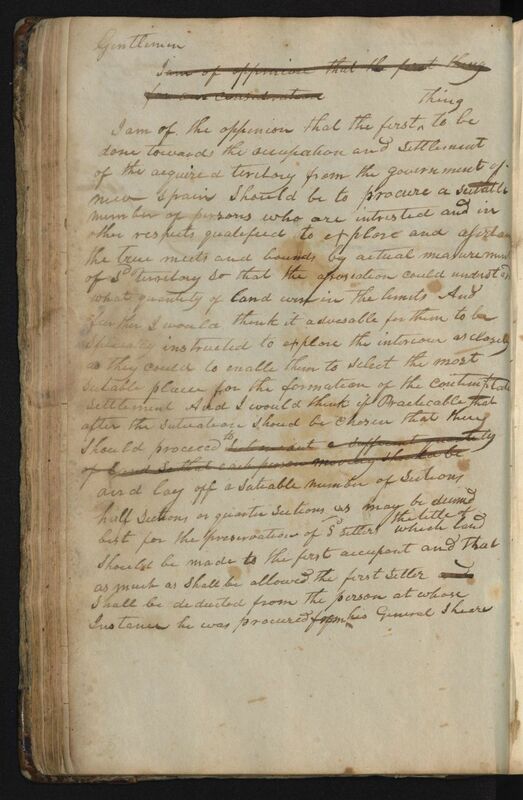 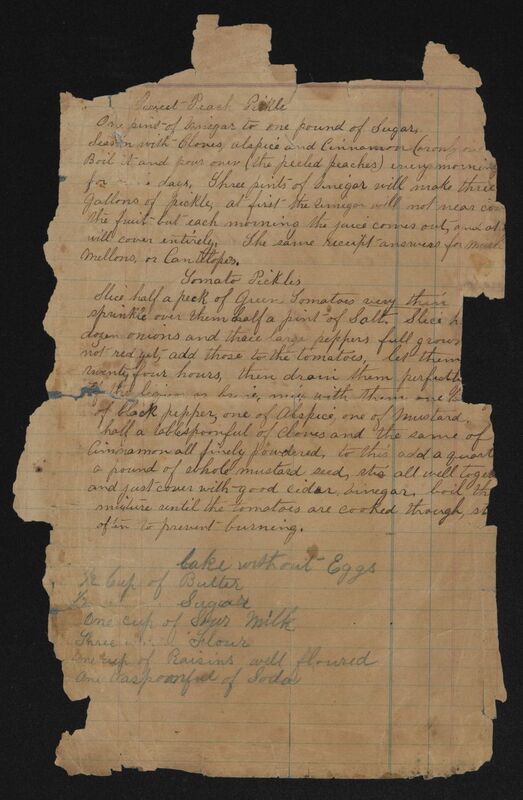 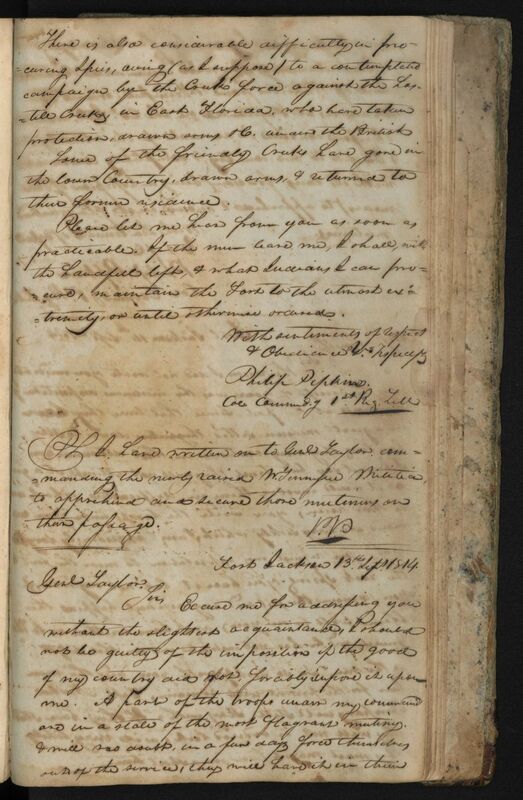 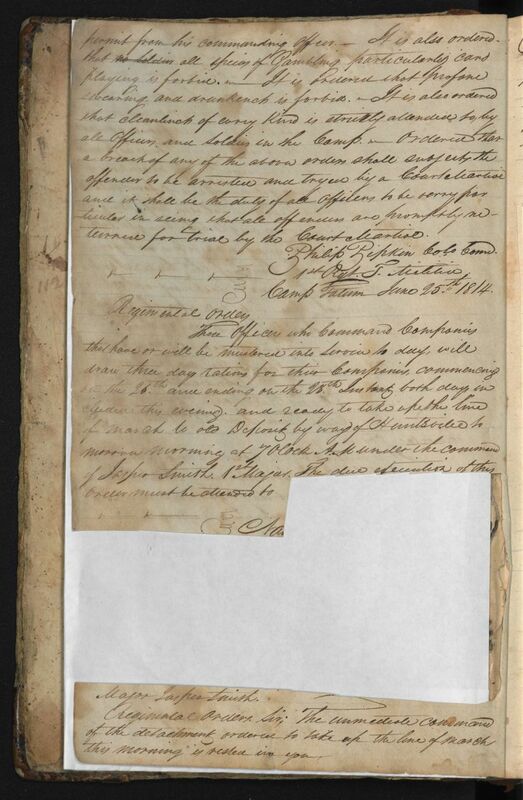 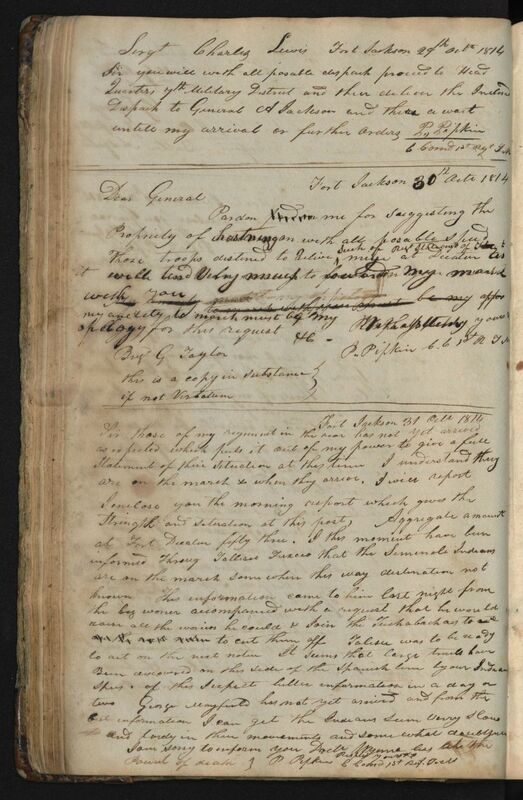 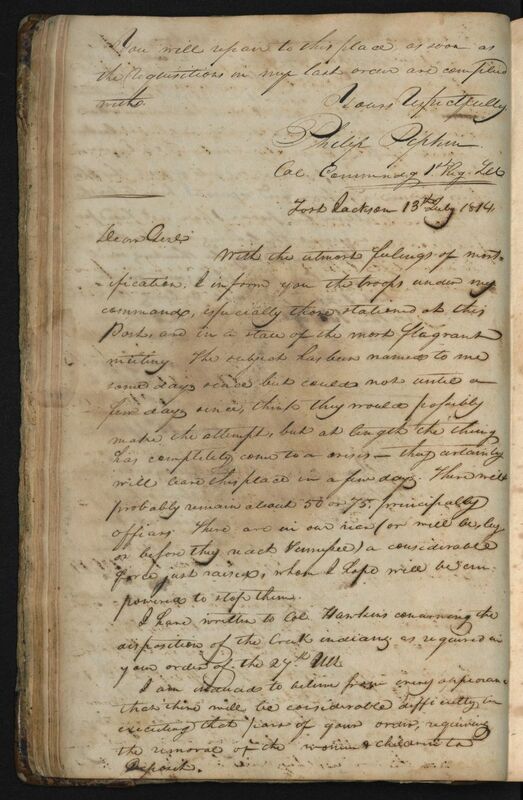 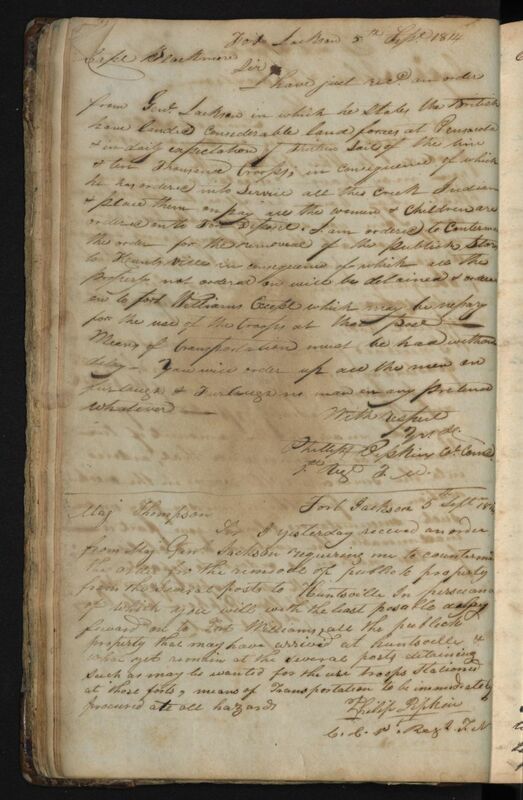 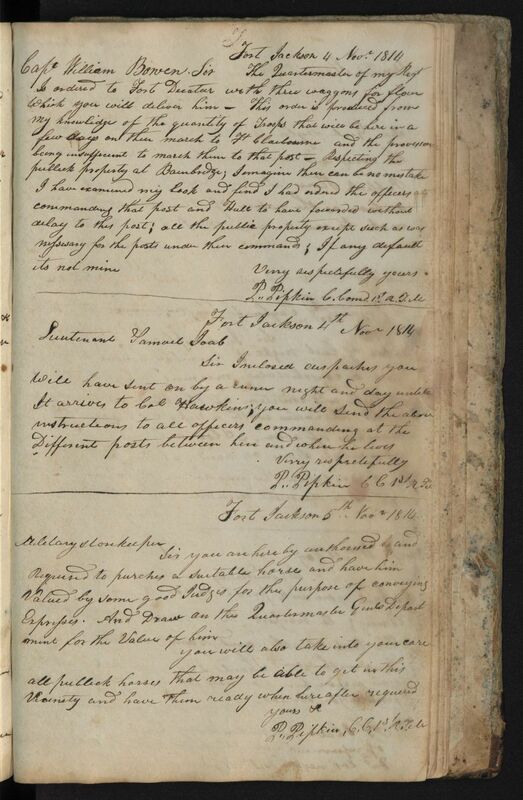 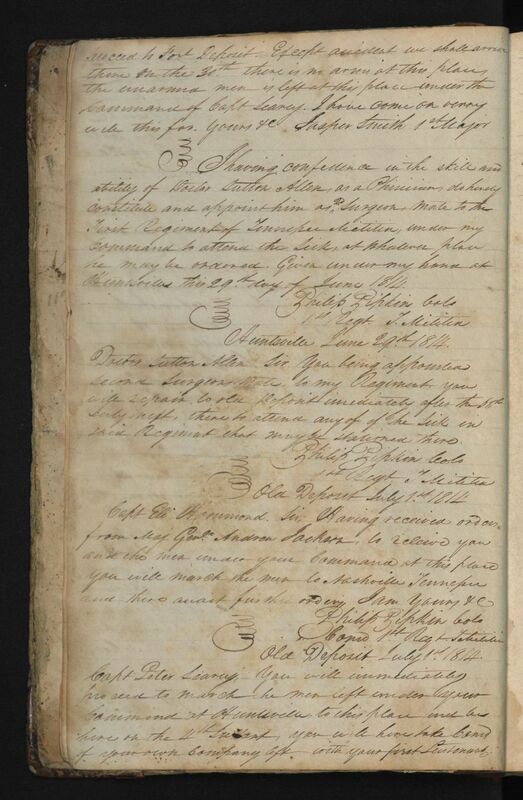 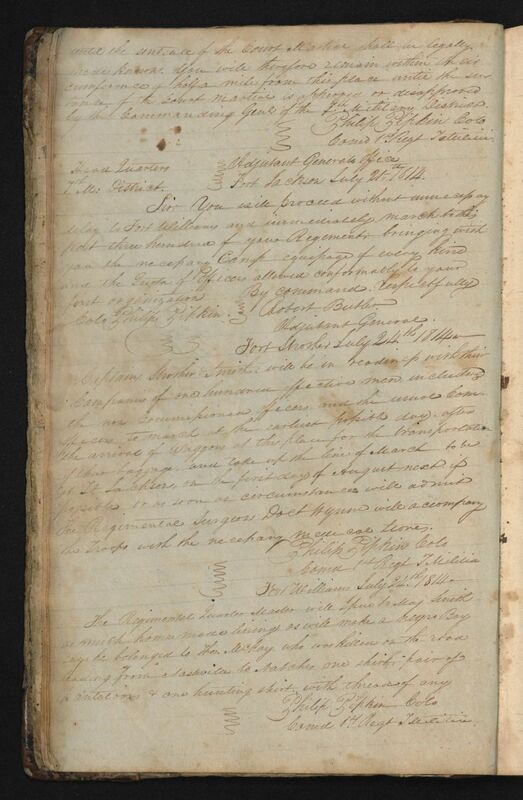 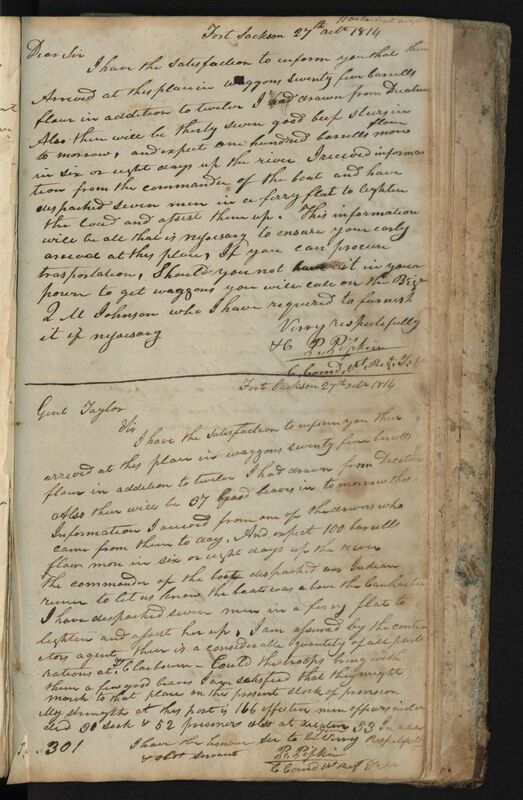 The Pipkin Family Association was contacted by Valerie Bennett, a volunteer at the Exchange Society, about the ledger in their possession and with her assistance it was donated to J. Y. Joyner Library.